At 18 years old Brian Hilliard received life-changing teachings from the Tibetan master, Chőgyam Trungpa Rinpoche. He completed advanced training seminaries including Ngedon School, Nitartha Institute and Vajradhatu seminaries under qualified Tibetan masters. He did undergraduate studies at The Naropa Institute. After many years of training, Brian completed the traditional Tibetan three-year retreat. He has taught mindfulness in business, centers for well-being, and holiday retreats for over 35 years. Brian teaches beginning and advanced students meditation for everyday life and Tibetan yoga. He was born in Connecticut and has lived in Europe since 2000. Brian Hilliard loves cooking, running, accordion, Italia, yoga and travel. Brian Hilliard carefully and expertly guides beginners and experienced meditators through all the steps of mindfulness meditation. He provides many opportunities to build on strengths and let go of weaknesses. With humor and precision, Brian invites students to explore solitary connection with themselves. As a group leader he encourages warm and friendly interaction. It is a safe atmosphere that sparks learning and increases personal enjoyment. Group interaction is enhanced with private meditation instructions that address special needs. Brian places special emphasis on bringing meditation practice into daily life. Students may confidently align themselves with new goals and aspirations based on personal experience. With Brian Hilliard's help, students' experience will remain an invaluable milestone on the mindfulness journey. Shannon van Staden has been practicing yoga for over ten years and is a certified Yoga Alliance Teacher. She teaches Hatha Flow, Yin and Restorative Yoga. Shannon has a keen interest in Yoga Therapy to work with physical limitations and improving the quality of life of the elderly. She practices sound healing using highly refined alchemy crystal bowls. Shannon continues to expand her learning through courses and workshops worldwide and through her work with students. Born and raised in South Africa, Shannon van Staden has lived in London, New York and France. Shannon practices yoga daily and deepens her path through meditation practice. With a background in fashion, styling, interiors and luxury travel, she is especially adept at taking care of guests' needs. As a leader at an international retreat center for four years, she is skilled in the design and management of effective retreats. As a leader for National Geographic Expeditions and Singita Luxury Safaris, Shannon van Staden's magic lies in creating retreat ambiences of style, simplicity, and fine attention to detail. 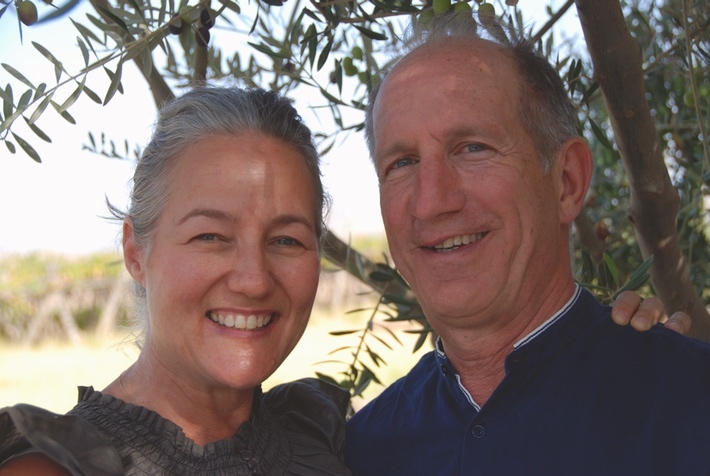 Mindfulness Journeys is the vision of Shannon van Staden and Brian Hilliard who believe in making mindfulness accessible to everyone. Their welcoming and light-hearted approach creates a positive learning experience and allows you to find ultimate well-being without sacrificing pleasure and luxury. Each of our venues is carefully chosen by Shannon and Brian with an eye for style, authenticity and natural beauty. Our locations allow you to practice mindfulness while not compromising on luxury, culture and of course great food. The specially prepared food is both exquisite and nutritious — feeding body and soul while you explore with like-minded travel companions. Shannon and Brian are the heart and soul of Mindfulness Journeys. Their caring, cheerful and calm presence allows you to take a holiday to reconnect with yourself. You find total relaxation because they take care of absolutely everything. Their passion and expertise for meditation and yoga allows a gentle introduction to an ultimately life-changing experience within an atmosphere of kindness and gentleness. “ It is difficult to convey just how lovely Shannon and Brian are. Your skill in running things seamlessly and warm rapport are incredible. It’s a gentle introduction to a life-changing experience. ” – Rose O., U.K.
“ Thank you for a wonderfully rejuvenating, inspiring and relaxing week. It was an incredibly special experience to share the time with you and our group; to learn so much and all the time let go of so much. It was de-cluttering for the body, mind and soul and all in such beautiful surroundings, with endless views, sparkling seas, glorious sun rises and sun sets and delicious, cleansing foods. The week with you was life-changing in its most powerful yet simplest form. ” -Emma L., U.K.
“ I really liked the structure of the week. I felt totally safe to hand over all responsibility to you. I loved the gentle development of the disciplines of mindfulness, running and yoga. I enjoyed the breaks in the afternoon. ” – Mary L., U.K.